Special interior paint with shut-off effect against nicotine staining. Special interior paint for quick and environmentally compatible renovation of nicotine contaminated walls an ceilings. 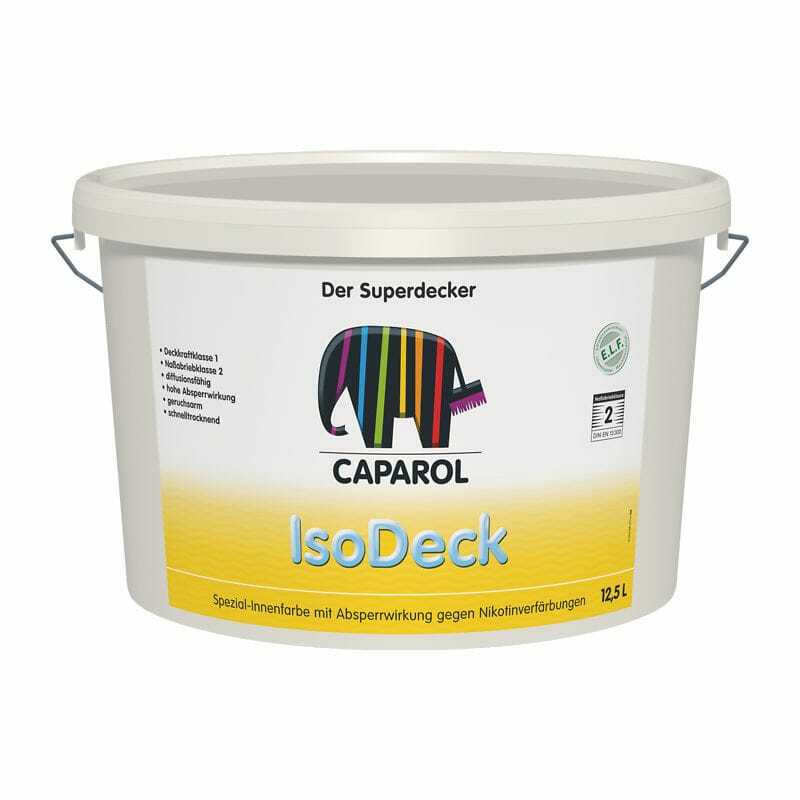 IsoDeck has a shut-off effect against nicotine staining, that would become visible as stains when common water-dilutable interior paint is used. IsoDeck is free of solvents and dries quickly, making it particularly suitable for living rooms, offices, restaurants, hotels etc. since no long waiting times must be respected and no odour nuisance through solvent use occurs. In combination with Caparol AquaSperr­grund, even difficult jobs, like the renovation of areas highly contaminated with nicotine and/or dried water, soot or grease stains can be solved in a environmentally compatible fashion. Polymer emulsion as per DIN 55945.